Saturday, October 13, 2018 from 10 a.m. to 4 p.m. 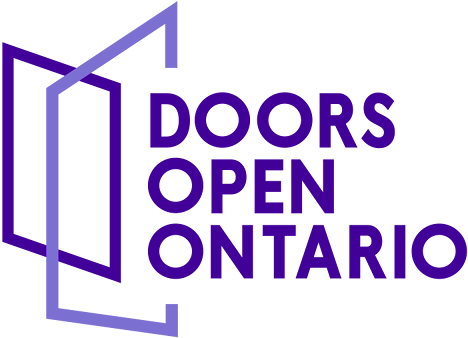 The Ontario Heritage Trust is partnered with the Timmins Museum for the second Doors Open Ontario 2018 pop-up event, featuring four communities in northeastern Ontario. Fourteen sites are offering free admission and special experiences, many of which are new to Doors Open! See the new exhibition “Nice Women Don’t Want the Vote” at the Timmins Museum, and enjoy free tours of the Museum of Northern History. Doors Open Timmins and Northeastern Ontario will give residents and visitors a chance to see inside some of the most interesting sites in the region. In the late 1800s and early 1900s, European settlers established the towns of the Great Clay Belt, and prospectors followed rumours of gold into the region. Timmins and Kirkland Lake, for instance, were planned around gold mines in order to house the miners and their families, and both soon supported thriving multicultural communities. This year, Timmins is joined by three neighbouring communities – Cochrane, Iroquois Falls and Kirkland Lake – in a regional Doors Open event that will highlight interesting sites, buildings, businesses and places in northeastern Ontario. You can also contact the Timmins Museum: National Exhibition Centre at 705-360-2617. Compass Brewing aims to educate the community on craft beer culture through events, collaborations and partnerships. They strive for continual improvement through community participation. To Compass, beer is a tool to express both individual and community identities. During Doors Open, come and take a guided tour of the facility and find out what the craft beer culture is all about. The Iroquois Falls Pioneer Museum encompasses the community’s artifacts through displays that will bring you back to the days of logging, working the river with the mighty tug boats, the war years, the POW camp near Monteith, and the area’s first telephones. Also check out the magazines and pictures from the opening of the landmark Abitibi paper mill. During Doors Open, visits the Timmins Sports Heritage Hall of Fame inside the McIntyre Arena – a Schumacher landmark since 1938. Home rink to many National Hockey League players – including Bill Barilko and Frank Mahovolich – the "Mac" was also home to the Schumacher Summer Skating School. Many North American champions trained there, including Barbara Ann Scott. Minstead Mini Homes is an innovative company located near the scenic Abitibi riverbank in Iroquois Falls. It was established to offer Canadians an alternate way of living. Come and join us at the Mill Market for a “tiny tour” of Minstead's model home and learn more about living minimally. Located in the former home of multi-millionaire mine owner Sir Harry Oakes, the Museum of Northern History focuses on the Kirkland Lake area. Photographs and artifacts from the collection relate to the events, places and unique personalities of this mining community. During Doors Open, interpretive tours will coincide with the opening of the Last 100 Days of the War exhibit. This museum features over 100 vintage sleds that will take guests on a ride through time as they reminisce about winter memories. The centrepiece of this museum is the legendary snowmobile, Big Al – which houses four diesel engines and was built to break land speed records! Explore this unique building, which has been an integral part of the Timmins cultural landscape since 1913. Visitors are invited to view the contemporary stained-glass windows, commissioned in 1978 and undertaken by Canadian artists Yvonne Williams and Rosemary Kilbourn. The illuminated artworks will also be complemented by the work of local artist Marie-Eve Proulx of Crooked Spruce Calligraphy. This cemetery has been in operation since 1917 when 72 graves from a local church were relocated here. Points of interest include the Hollinger Mine Disaster monument, Bill Barilko's grave and beautiful crypts. Cemetery etiquette is strictly enforced. The children's section of the cemetery is also open. Visit the Timmins Museum for a map outlining the cemetery’s features. During Doors Open, the museum will feature “Nice Women Don’t Want the Vote” – an exhibition from the Manitoba Museum that explores women’s suffrage in Canada. An exhibition on local mining will also be on display. Historical films will be shown in the Programme room. The Timmins Public Library is an architectural gem built with locally sourced materials. The high ceilings and 9-metre (30-foot) wooden columns and beams make it a haven for book lovers, information seekers and visitors. During Doors Open, there will be guided tours at 10:30 a.m. and 2:30 p.m. Come for a visit and explore the Timmins Public Library.